DrawCompare Premium tool used to Compare Drawing entities in two diffrent drawings with different colors applied to each Drawing Entities to view only . 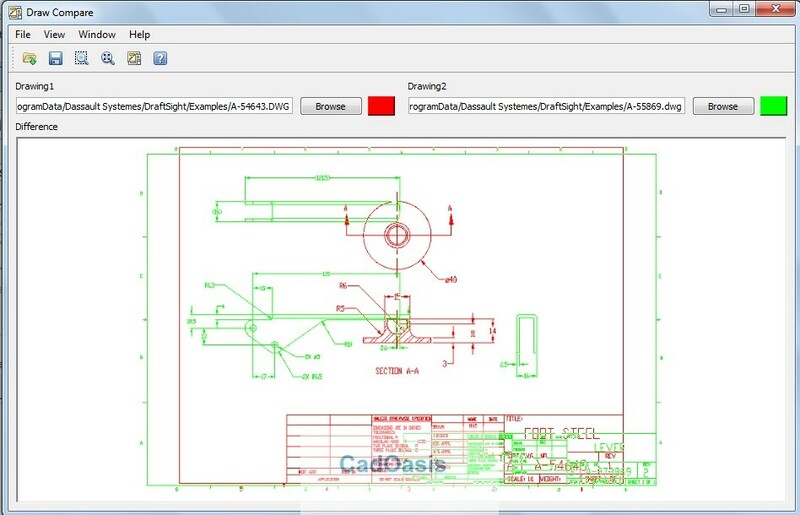 this is available under Tools Drop down menu > DrawCompare. 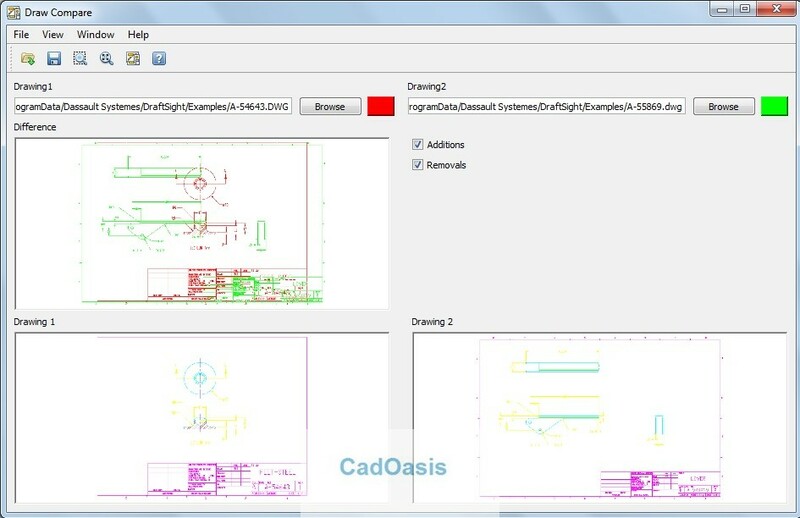 When you open the dialog box you will see Drawing 1 and Drawing 2 Sections to Browse Drawing files. You can apply Different colors to these drawing files by clicking next to Browse button and setting different colors. You have 2 check box options to add or remove drawing files while comparing Drawings. you will see results in Difference section. Go to Window > Differences to see this difference section on complete dialog box. You can click inside , Zoom in and Zoom out , pan to Compare your Drawings in DraftSight. Click on Window > Arrange to return back to initial section. You can save these result in Bmp format on your machine and call later from File > Save Results . Now you can add different Drawings to compare by simply browsing on dialog box . Or close DrawCompare dialog box and open again.